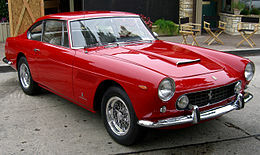 The Ferrari 250 GT is one of the most beautiful, and successful automobiles of all time, a spectacular light weight 12 cylinder 3 litre engine wrapped, enveloped is perhaps more accurate, in a body of exquisite form. It is also on our list of Unobtainables, those vehicles that car lovers generally covet, in our case, mostly European sports cars, from every era. We start with the Ferrari because there is one car available, scheduled to be auctioned tomorrow, August 14th, at 11 AM PST at THE QUAIL LODGE AUCTION , in Carmel California held by Bonham’s Auction House. So now is your chance. This car is the one shown in the British Pathè news reel footage , so it has some racing provenance, though not enough to have inflicted too much serious damage. 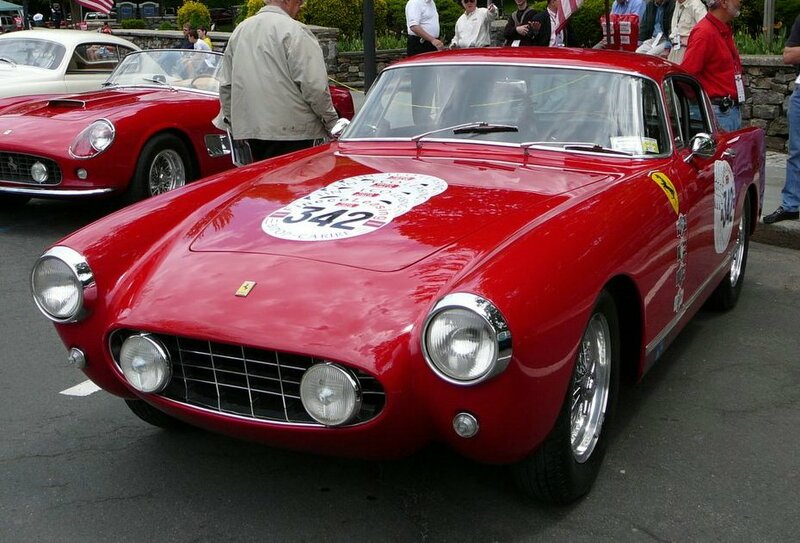 Quoted from Wikipedia – ” The 250 GT Berlinetta, nicknamed the “Long Wheelbase Berlinetta”, was also called the “Tour de France” after competing in the 10-day Tour de France automobile race. Seventy-seven Tour de France cars were built of which a number were sold for GT races from 1956 through 1959. 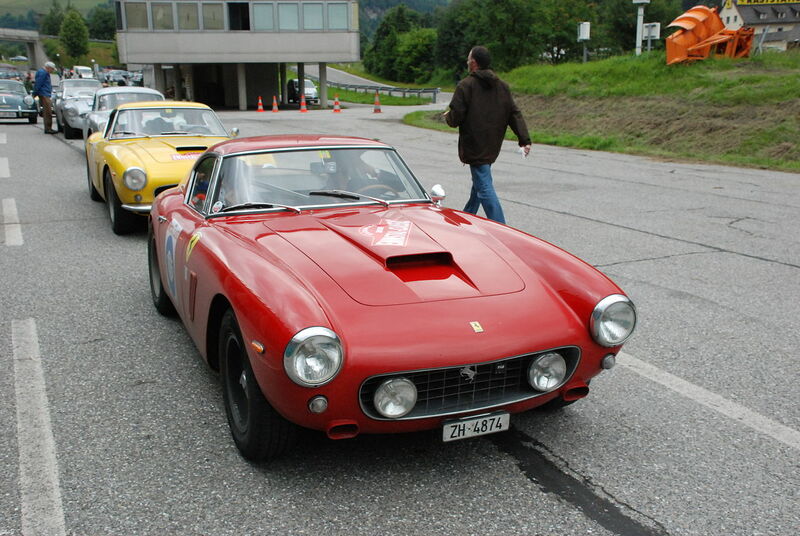 Construction was handled by Carrozzeria Scaglietti based on a Pinin Farina design. The engine began at 240 PS (177 kW; 237 hp) but eventually rose to 260 PS (191 kW; 256 hp). Pirelli Cinturato 165R400 tyres (CA67) were standard. 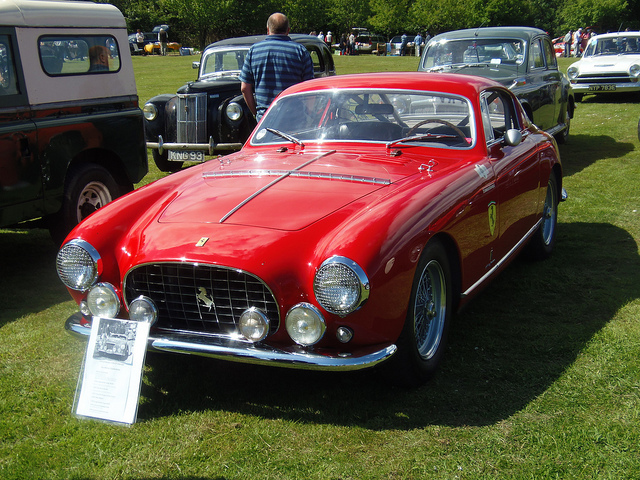 At the 1956 Geneva Motor Show, Scaglietti displayed their own 250 GT prototype, which became known as the limited-production, Series I, “no-louvre” 250 GT Berlinetta. British Pathè has a great clip of the Ferrari being sold by Bonham’s on August 14th, , being driven in anger on the 1959 Tour de France There are travelling shots from car as it drives along Riviera road. Ferrari driven by Olivier Gendebien. And there is the price, in 2014 a Ferrari 250 GT SWB California Spider tops Gooding’s Saturday auction at $15.18 million, August 18, in Monterey, and but before that, Lot 240A at Monterey by Sotheby’s, a 1962 Ferrari 250 GT SWB California Snyder Chassis no. 3119 G, Engine no. 3119 GT , sold at auction Saturday, August 18, 2012, for $8,580,000.